This Stylish Black Trolley has multiple drawers and plenty of space for your supplies and styling appliances. It is perfect for beauty salons, tattoo shops, pet groomers, nail technicians and other professionals who are looking for a feature-loaded utility cart with tons of storage and an attractive, accessible design. Four smooth-rolling, swivel casters provide superb mobility and allow the trolley to be positioned close to your working area for maximum efficiency. Set of 7 nail art brushes in 7 different sizes. The pen points brushes are flat and the color is orange, very bright. 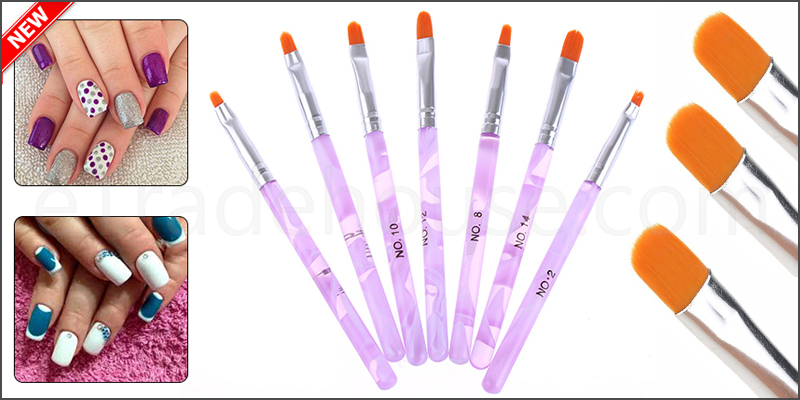 1x 7pcs Acrylic UV Gel Nail Polish Brush Set.